This Reverse Lock wheel fro Skike v8 LIFT Cross and v7 FIX locks backward movement / rolling on your skate. Most common is the installation on the front but you could also install them on front + rear position for greater effect. This complete wheel includes Rim, tire, tube, reverse lock bearings and spacers. Just Plug it on an go. Fits to: Skike v7 FIX, Skike v8 LIFT Cross. 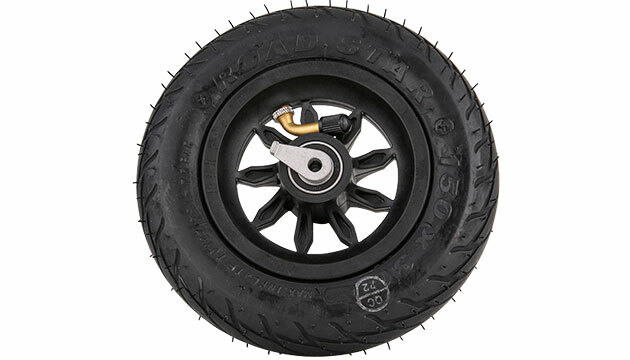 These Skike Reverse Lock wheels are replaced with the wheels you have on your Skate (front or front + rear). The backward locks particularly helps on narrow paths or climbs.